"The team, which evolved throughout the turnaround, consisted of nursing and quality leadership, operations and financial leaders, marketing, the addition of a chief medical officer and the creation of a Physician Leadership Academy to help create a cohesive team of physician leaders, since most of the medical staff served in private practice," Clements said. Together, they worked to set goals for hospital. "There were several steps involved," he said. "We looked at the services we did the best - highest quality and best outcomes. We looked at what people were leaving town for: minimally invasive surgery, specifically robotics; cardiology; advanced imaging procedures such as 3D mammography. And we did market research and asked our consumers about what they were looking for in a healthcare provider and what role they wanted Cullman Regional to have in their care. Once the plan was developed, they helped the staff understand the overall goals, then created scorecards and teams to achieve them. "We rewarded teams for making positive changes," Clements said. "In short, we learned from mistakes and celebrated the successes." Included in the turnaround was the formation of the Cullman Regional Hospital Quality and Efficiency Network. "This was a team effort to align independent physicians and the hospital on improving clinical quality and efficiency," Clements said. "The idea is simple. Both hospitals and physicians are consistently working to improve quality and efficiency. However, these groups aren't always working toward the same goals, which makes it hard for either to reach their individual goals. This program allows the hospital and the physicians to determine the objectives together and then work on achieving these together. It's a win-win for both groups and allows our physicians to be a part of the process and contribute their expertise. "The network is similar to initiatives larger hospitals have implemented in the past few years. Typically smaller hospitals do not have the capital required to invest in this type of program. We're not aware of any hospitals or health systems in Alabama with similar programs." Today, patients from Cullman County and parts of Blount, Marshall, Morgan, Walker and Winston counties have options for care that previously required trips to Huntsville or Birmingham. "Our goal is simply to make healthcare more accessible and convenient for our patients," Clements said. "Healthcare is traditionally not easily accessible to patients. We want patients to be able to get the care they need when they need it. We found in doing our market research that patients actually preferred to get care locally by local people who they knew. However, they were willing to make a drive if the care provided better quality or was more easily accessible, with shorter wait times. Therefore, we made it our priority to improve our service for anyone in our area and directed our capital expenditures towards improved quality." 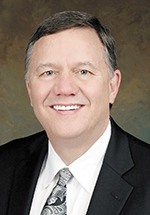 As CEO, Clements can take much of the credit for the turnaround during his tenure, but he insists it's the leadership team and hospital staff that deserve the credit. "We are proud of the team we have assembled because each member is dedicated to putting the needs of the patients we serve first," he said. "Our goals remain the same: improve the quality of care provided and make healthcare more easily accessible to the communities we serve." August 2018 - Opened Cullman Regional Family Care Clinic - added a CRNP and family physician in order to improve access to follow-up care post discharge for patients visiting the hospital or ER.